Hello Loves! It's time for my Blogiversary Giveaway #3! Ready to see what I have to give away? 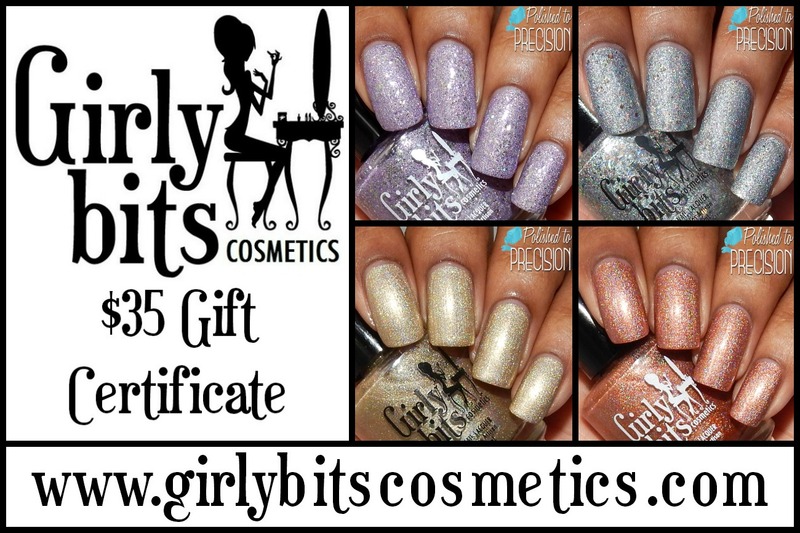 I have partnered with Girly Bits Cosmetics to offer this week's fabulous giveaway! are from www.PolishedtoPrecision.com. Aren't Tiffany's swatches just gorgeous?!?! Contest begins September 16, 2014 at 12:00 am EDT and will end on September 23, 2014 at 12:00 am EDT. Winners will be contacted via email within 48 hours of the end of the giveaway. The winners will then have 48 hours to respond and accept the prize. If the winner does not respond to claim the prize by 48 hours after notification, a new winner will be selected for that prize. The prize will be fulfilled by Girly Bits Cosmetics. 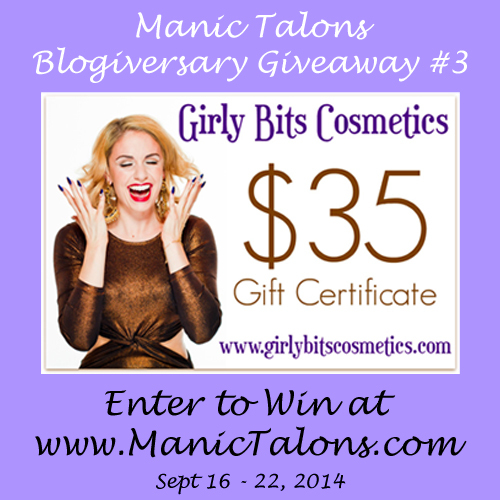 *The contest prizes offered in this giveaway were supplied Girly Bits Cosmetics.